All Pokémon Powers stop working until the end of your opponent’s next turn. I had always wanted this card and finally got one in 2014 (in Japanese) when I found out it was included in the Sabrina’s Japanese gym theme deck. It was exclusive to the deck but the infamous Wizards decided to remove it and included in the main set instead. 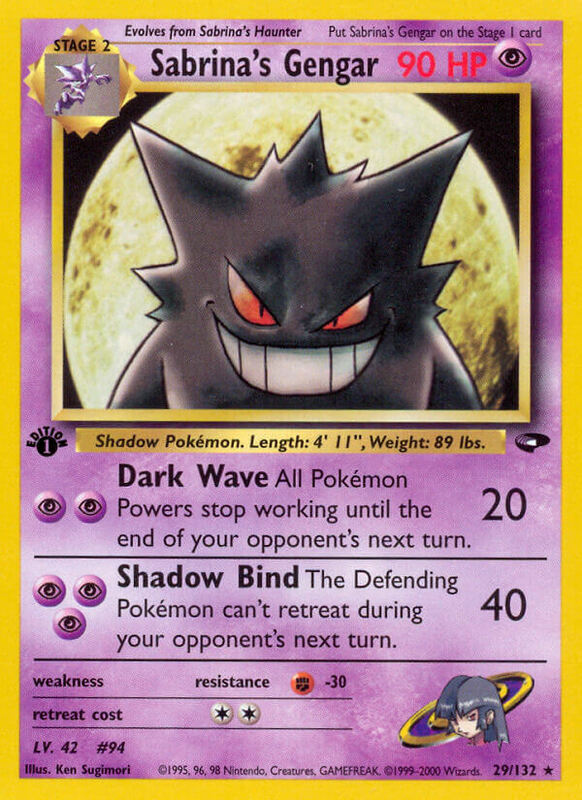 You have to like the evil look of this Gengar. The color of this Gengar should’ve been the official color rather than the purple/pink to make it more malevolent. Was this card ever worth played? Halloween is approaching let’s find the scariest looking cards, here’s one!